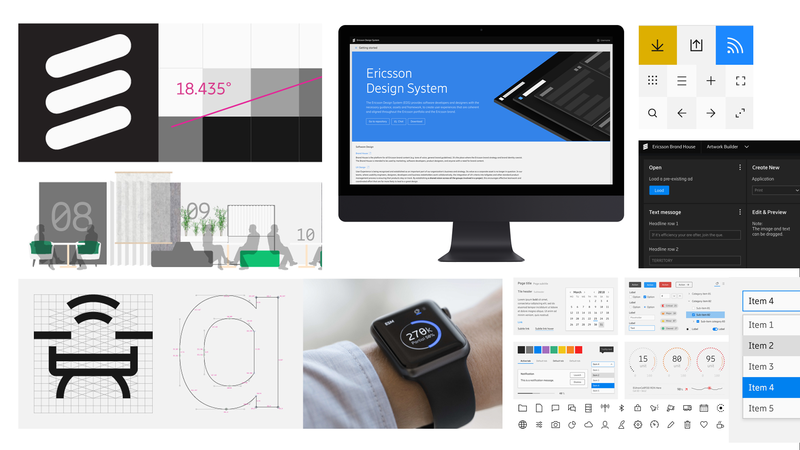 Ericsson (NASDAQ: ERIC) has been recognized for its excellence in brand design and user experience implementation with two Red Dot Awards for Brand and Interface Design. The Ericsson Design System (EDS) - a comprehensive software development platform - was honored in the Interface Design category. EDS is a fundamental milestone in Ericsson’s ambitions to provide an iconic user experience to customers and end users. This is especially important for the company’s digital service offerings where EDS has been integrated as a tool for software development, demonstrating Ericsson’s commitment to delivering world-class customer experiences. EDS is part of a broad optimization of the Ericsson brand which has also been recognized with a Red Dot award in the category of Brand Design. The evolved brand identity is intentionally rooted in product design principles and involves all aspects of the brand, from marketing collateral and software design, to experiential and hardware packaging. The project is led by a multidisciplinary design team at Ericsson and supported by partners including Stockholm Design Lab. The Red Dot Award is one of the world’s largest design competitions. Since 1955, the sought-after Red Dot distinction has been the revered international seal of outstanding design quality. In 2018, more than 8000 entries from 45 countries were submitted. Learn more about Ericsson’s quest for easy and how we are helping service providers capture the full value of connectivity.